We really appreciate your support! UM Center For Entrepreneurship has been a long time supporter. Duo Security is a local startup providing easy two-factor authentication as a service. The Michigan Masters of Entrepreneurship Program has generously provided Blau Auditorium for Ignite. 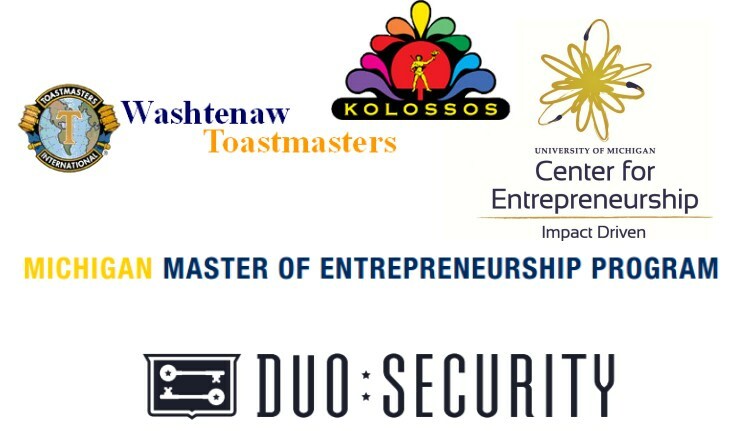 Washtenaw Toastmasters provided speaking guidance and coaching at our run through sessions that was very helpful to our speakers!